Fortunately, this isn’t about Jason Connery’s toilet habits in the USA. Oh no. 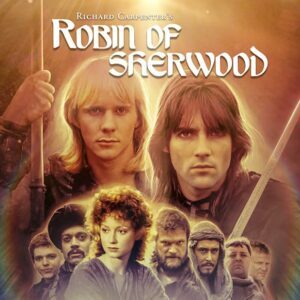 Good news, fans of Robin of Sherwood. Robert of Huntingdon has been in the recording studio and our 2-part ‘What Was Lost’ audio is well into production. This will form half of the upcoming 4-story CD box-set, which will be released in Summer 2018. The long, long wait is nearly over! As ever, we thank you for being so patient and – if you pre-ordered – I hope you all enjoyed our free giveaway in the form of Iain Meadows’s audio story ‘The Blood That Binds’ (read so splendidly by Nickolas Grace, our wickedly waspish Sheriff)? Having what is essentially 12 main leads for an audio production is a big challenge and one which requires a budget far beyond what we have raised. This is why we’ve tried to mix it up a bit with one-person narrated audio stories and limited cast versions, as well as full-cast audios too. It’s also very difficult to coordinate the availability of the actors too and we often can’t record everyone at the same time, which is a real shame. But, as with ‘The Knights of the Apocalypse’, we hope you won’t notice the joins! We’ve also had the sad departure, due to other commitments, of co-producer Iain Meadows from the project (and, indeed, from Spiteful Puppet itself). 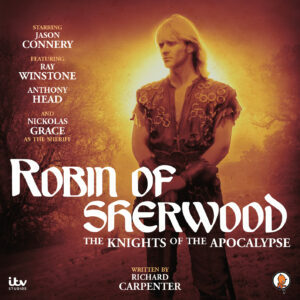 This has doubled my workload on Robin of Sherwoodand, inevitably, things take a little longer because of this. I won’t pretend I haven’t torn my hair out at times and I’m starting to look more like Friar Tuck these days due to the vast quantity of time I’m sat eating in front of a laptop or behind a desk in the recording studio! However, I’m personally really pleased that Iain’s still supportive of the show and it is his 2-part story we’re recording with Jason Connery. The exciting news is that this is not an audio that fits into the established continuity of the original television series either. We are heading off into new territory as ‘What Was Lost’ is the start of what would have been Series 4, if the original series had been allowed to continue. It ties up the loose ends of Series 3 and heads us off into unchartered waters where anythingcan happen! We hope you’ll enjoy what we’ve managed to do with it. I think you will. The initial idea was kicked around by Iain Meadows with myself and with Jason Connery before the script was written, so it’s been a lovely collaborative effort that – I think – will produce the ideal beginning for a series that the late Richard Carpenter would be proud to keep his name on! 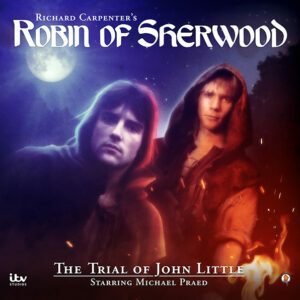 We’ll keep you updated as we go, especially as we’re getting closer to recording Michael Praed’s two tales (‘The Trial of John Little’ and ‘The Baron’s Daughter’). More news on that soon. Not long to go now!